Commercial fish farming is the prosperous business in Kenya attributing to its numerous aquatic resources such as highly varied climatic and geographic regions, covering a part of Indian Ocean coastline, several large rivers, swamps and other water lands, part of the largest freshwater lake in Africa. Furthermore, with Kenya government fish farming program, fish production has rapidly increased in recent years. In light of this, fish farmers are badly in need of fish feed. Much of the aquafeed used in Kenya are either produced on-farm or by small-scale semi-commercial feed manufacturers, whose little production can not keep up with the fast demand of fish farming. Thereby fish feed production in Kenya has wide market, being the profitable industry! 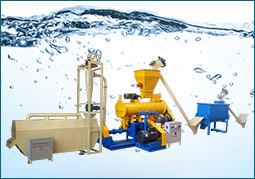 Fish feed is of significant importance in fish farming. High quality fish feed can improve fish living environment and ensure healthy growth of fish stock. Fish feeds constitute 40-50% of the total production costs in aquaculture. Cost of feeds is one of the main limiting factor to aquaculture development. Commercial feeds are often too expensive for local farmers. To minimize feed costs, the use of locally available fish feed ingredients including raw or semi-processed agro-industrial by-products is becoming common in Kenya fish farmers. Use of inexpensive and locally available feed stuffs is necessary to increase production and profitability. In Kenya, little quantity of fish feeds are produced locally. Many farmers make fish feeds by this machine in the following picture. Due to poor processing, the quality of feed is very poor and production rate inconsistent. This type of fish feed has not signally led to increased productivity of farmed fish. You can see this kind of feed in the following. There are mainly two types of fish feed for fish farming: extruded feed and pelleted feed, which we have analyze in detail in the previous article. Extruded feed can float on the water for 24 hours while maintaining a high degree of integrity. It doesn’t fall apart and has no apparent leaching. It is much easier to know if the fish are consuming all the feed so there is less possibility of wasting feed. Furthermore, these floating fish feeds are made from a mixture of carefully selected ingredients to provide all the nutrients necessary for the fish to grow. They are made in a form which the fish find easy to eat and digest. 1.First the ingredients for making fish feed are ground more finely by the hammer mill, thereby making the feed more digestible. 2. Powdered ingredients are mixed in a certain proportion by fish feed mixer. Notice that small fish require high protein levels, staring at 40% protein and gradually reducing at 30% protein. 3. The kernel step of feed production is extrusion. 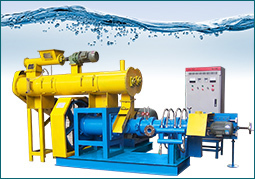 There are two types of fish feed machines for extrusion: dry type fish feed machine and wet type fish feed machine. For feed production in Kenya, dry type fish feed extruder is recommended, due to suitable price and stable performance. Many customers cooperated with us are all satisfied with dry type feed machine. Wet type fish feed machine is more suitable for large scale production and people who have higher requirements for feed pellet performance. By extrusion, ingredients are cooked at higher temperature and therefore makes the feed even more digestible. Note: The size of the pellet should be about 25% the size of the gape of the mouth. 4. 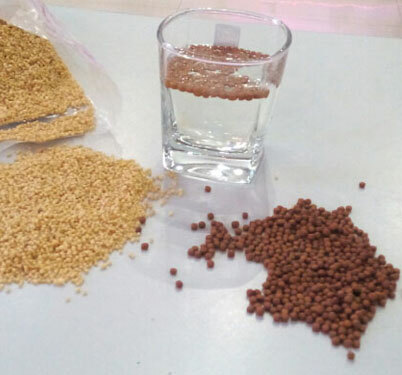 Fish feed pellets from pellet making machine need to lower high moisture and temperature. 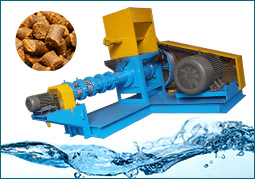 Pellet drying by fish feed dryer is necessary. 5.For acquiring better smell and taste, people often use oil spraying machine to spray oil to the surface of fish feed pellets. Oil spraying step is optional. If you think pellets from extrusion are ok, just ignore it. 6.Hot pellets are soft and easily broken, which can result in a high percentage of fines. By cooling pellets can be harden.The fish feed pellets are packaged in bags for further transporting and storage. 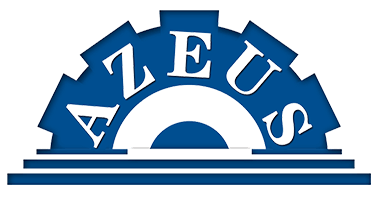 Azeus, the professional fish feed machine manufacturer, offer both the single machine and the complete floating fish feeds line suitable for a wide range of freshwater species such as Tilapia, Catfish and Trout. Nowadays, commercial fish farming throughout Kenya is popular, which is the income source and business for people. Some of those fish farmers are farming fish for family consumption and some are farming in large scale for more profit, which are contributing much in the total economy and nutrition demands in Kenya. Kenya fish farmers are facing one of the biggest challenges: no efficient and affordable farms are available to make feeds designed for semi-intensive culture systems. Farmers have to depend upon natural food in the pond system with some supplementary feeds to increase fish yields. Most of this supplements are cheap and readily available. However, this kind of fish feed can not bring rich nutrition to fish, and extruded fish feed is more effective for fish growth because high temperature and high pressure process can kill the salmonellosis and bacterial infections in materials and also makes the pellets easier to digest and absorb. So fish farmers should utilize on locally available feedstuffs by fish feed machine to feed fish in order to improve their profits.